How much is stretching a mental game? What is your greatest challenge with stretching? Is it to achieve your favorite pose? Or to deal with tightness in a certain area like the hamstrings or low back? Maybe it’s to be present while you stretch, or just to remember to breathe! Well, what if we told you that your mindset is just as important—if not more important!—than the stretches themselves? You see, with stretching, your nervous system is in control. Scientific studies have shown that improvements in flexibility are not necessarily structural changes in your body’s muscles or tendons, but rather an increased stretch tolerance caused by adaptations in our nervous system. The message here? Breathe, breathe, breathe! Taking control of your mindset and tapping into your breath can help you relax your nervous system, steering you in the direction of your goals. When you approach training with an agitated mindset, it can be much more difficult to relax the nervous system and safely train your flexibility. Consistency is one of the most important ways to develop a greater stretch tolerance. By consistently working on your splits or backbends, your brain will start to understand that those positions are safe for your body, helping you to relax and go deeper into your stretches. That’s why it’s so important to stay committed to your flexibility journey! We recommend stretching at least 2-3 times per week, and at most 5-6 times. 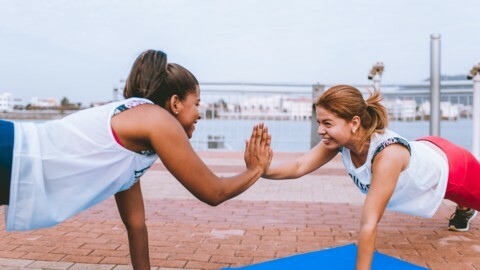 Rest days are important because StretchIt classes—and any proper flexibility training—uses strength exercises to prepare the connective tissue around your joints as well as condition the major muscle groups to support a wider range of motion. Your strength builds during rest days, when the muscles are able to repair themselves and grow back stronger. Rest days are essential to a healthy training routine. While you may not see results right away, each class and training session adds up. It’s natural for your flexibility journey to ebb and flow, and some weeks will feel better than others. That’s part of the journey, so stick with it and stay positive even through the tough training sessions. Eventually, your nervous system will start to recognize a new ‘baseline,’ and your body will begin to feel a greater ease in positions that felt uncomfortable just months before! Taking progress photos will help you see the transformation right before your eyes. We can’t emphasize enough how important it is to relax your mind and tune into your body when you stretch. Work on understanding the difference between being uncomfortable and being in pain. If you’re in pain, your nervous system is telling you that you’ve gone too far. In this case, it’s good to back off. If you’re experiencing mild discomfort, harness the breath to settle into the position to aid in releasing the tension. Stay properly engaged and focused on the movement. Take control of your mind by saying positive things to yourself while you stretch like, “I feel good, my body is strong and safe.” If swearing is more your style—you can still make it positive! Try saying something like, “[explicative of your choice], this feels amazing!” A positive mindset can help you avoid injury and it will help you feel better. When you feel better and more relaxed, the nervous system can calm down and allow your body to go deeper. 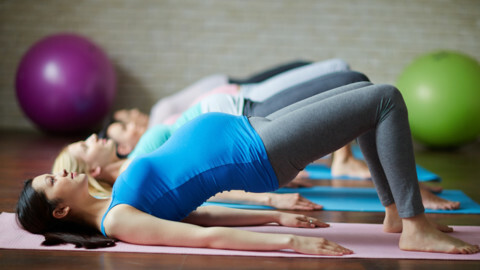 You can harness the power of your breath and use positive affirmations for each kind of exercise covered in a StretchIt class—from the passive stretches, to the active training, to the resistance stretches. You’ve got this!